Feel the atmosphere, enjoy the thrills and celebrate Halloween at Oakwood Theme Park. From scare mazes to family fun! Come and get scared this October half term! A scare fest evening with the scare factor turned up a notch or two…NOT for the faint hearted! 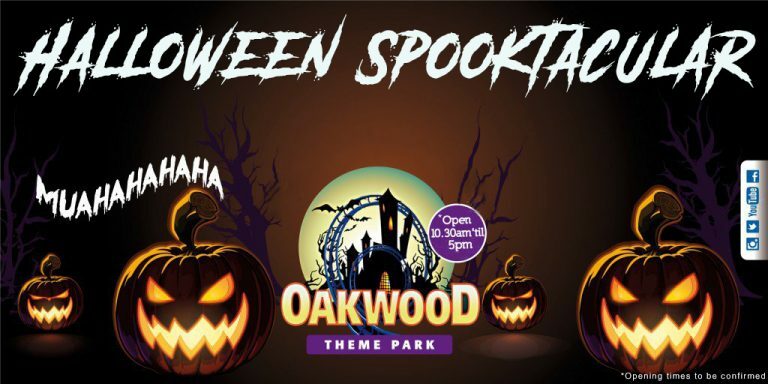 Take advantage of our new Season Pass which gives unlimited entry to Oakwood Theme Park throughout the 2019 season, including ALL Spooktacular dates! !